NEW YORK, NY / ACCESSWIRE / March 7, 2019 / A few days ago, Lockin China, a global career development platform for young talents, launched a press conference. 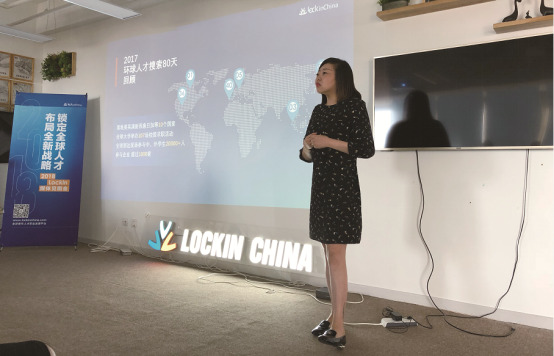 Lockin has made a massive transformation over the past three years, emerging from a small specific market of Chinese overseas students to setting off for the vast high sea of the world human resource market. At the very beginning of the company's development, it only served hundreds of thousands of Chinese students studying abroad, helping them find jobs back home. However, it has now become a transnational job recruitment platform, accumulating a large volume of student data from thousands of universities worldwide and connecting them with companies from all over the world. Lockin's development. 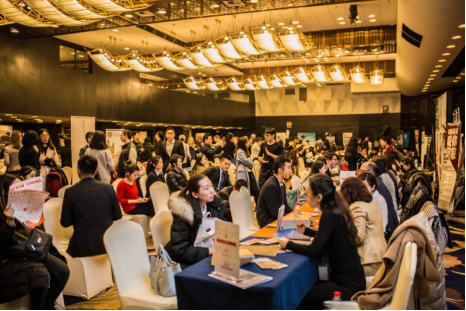 The first step to be - targeting Chinese returnees students, assisting them with finding jobs in China (the annual average number of Chinese student returnees is between 400,000 to 500,000, this group of students is increasing significantly). Second step - by solving the employment problems of Chinese overseas students, integrating talent data of thousands of universities in the world, becoming a partner with global universities, providing an exclusive entrance for the overseas student (the total number of Chinese students studying abroad is between 4 million to 5 million). The final step, through the integration of students' data, it helped them match jobs on a global scale (not only Chinese overseas students but also students from universities all over the world including alumni and will be matched with jobs worldwide). Reports have shown, from 2015, Lockin has developed rapidly---the number of active users has increased tenfold as it took each step forward. As the search engine industry, job recruitment is a mature market. A company would not win a head-to-head competition with the industry giants. It should approach the market from a different angle, providing various services, absorbing all the resources and becoming a new platform. Online job recruitment is only a branch of the traditional job recruitment industry, subject to the monopoly of the industry giants. However, Lockin jumps out of the monopoly game, survives and thrives. Many universities' career service centre has invited Lockin to run on-campus recruitment events and workshops, as well as connecting Lockin's website to their career services webpage. By launching the "80 Days Event for Global Young Talents", Lockin has managed to integrate resources from world leading universities. 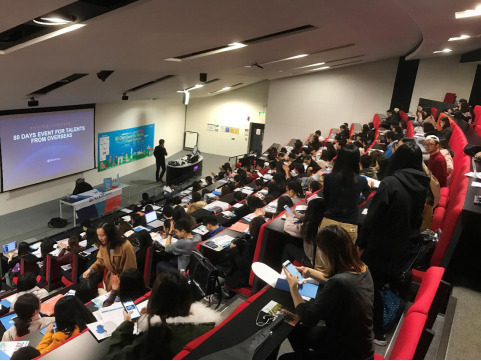 In 2018, Lockin have held series of events in 110+ cities worldwide and brought a number of Chinese employers to students on-campus, including Baidu, Didi, OPPO, NIO etc. Through the years of negotiation and integration, Lockin has earned the trust of world leading universities. It is true that higher institutes overseas have their own talents database. They are now sharing their talents resources with Lockin and connecting their database portal with the company's platform. Now, Lockin has built the most extensive database of university talents---the Global Talent Map Database (GTMD) and made it a job recruitment platform bridging the world talents and enterprises. It will serve not only Chinese overseas students, but also international and local students from India, Japan, US, France, Korea and many other countries to help them apply for jobs. Today, the traditional recruitment giants in the market are now approaching to cooperate with Lockin to access Lockin's global student data and overseas university talent data, because they found that Lockin has comprehensive overseas talent data. It has been few months since the launch of GTMD. Up to now, the monthly cash income of the product hits more than 1 million CNY. Given to this trend, according to Crystal, it is expected that the company would have a total revenue of 50 million CNY next year. Apart from the Chinese version of Lockin---Lockin China, the company will launch an international version ---LockinU, targeting global companies and global graduates. LockinU app will also be published. Based on the global talents data, the competence of job applicants will be evaluated after they fill in their CVs; suitable jobs and companies will be selected and delivered to candidates, reducing the mismatch between them significantly.